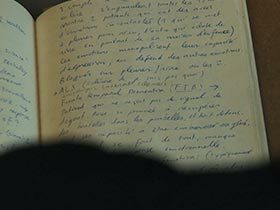 This video (14 min) features the writer Jérémie Gindre's whose interest in neuroscientific research led him to an artist-in-lab residency at the Geneva Neuroscience Center (CIN) and the Swiss Center for Affective Sciences (ICAS), University Geneva. There, he participated in numerous visits and clinical evaluations of patients who showed special behavior due to cerebral dysfunction. 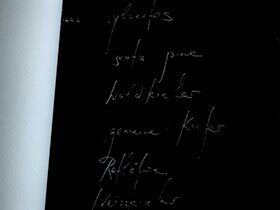 Inspired by these many-faceted experiences, Jérémie Gindre wrote short stories that provide poetic and sensitive insights into these complex diseases and their impact on the life of the affected person. Nicole Ottiger's main interest is the self-portrait. The choice for her artist-in-lab residency fell to the Brain Mind Institute (BMI) of EPFL Lausanne. The video (15 min) documents Ottiger’s production of the multi-part work called "The Mind's Eye" during her residency and her making of self-portraits of her virtual body. During this work, Ottiger uses the neuroscientific experiment "Video Ergo Sum” from the lab, whereby the experimenter can experience a kind of "out of body experience". This video (12 min) shows sound artist Luca Forucci, who spent an artist-in-lab residency at the Brain Mind Institute (BMI), EPFL Lausanne. There, he participated in some of the lab’s technological and computational approaches used to understand specific brain processes or functions. Forucci experimentes with sculp recordings of the brain’s electrical activities (EEG) to convert these measurements into musical scores. 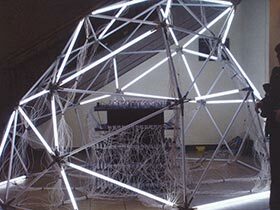 He then creates and exhibits the sound installation “Kinetism” in the lab. This video (13 min) features artist-in-lab Monika Codourey with scientists from the Human Computer Interaction Lab (HCI-LAB), University Basel about their investigation into the interaction of constant travelers and transit sites. The artist interviews constant travelers and analyzes their emotional, cognitive and behavioral conditions. 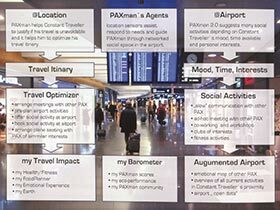 Based on the qualitative and quantitative analyzes Codourey develops with the help of the HCI-LAB PAXman 2.0, an artistic prototype for the public spaces inside airports. 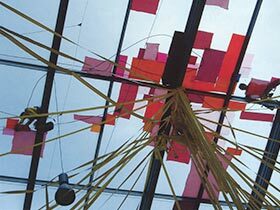 In this video, artist-in-lab Steffen Schmidt and the Cardio-Vascular Surgery Unit (CHUV), University Hospital Lausanne provide us with information about their collaboration in 2011. Schmidt explores the musicality of the heartbeat and the tonalities of the hospital. During his residency he designed and arranged a musical performance with live heartbeat sonifications on stage mixed with pre-recorded sound recordings of the hospital. These two sound worlds were combined with piano improvisations live performed by the artist. At the Center for Integrative Genomics (CIG) and at the CHUV school of the University Lausanne, artist-in-lab Sandra Huber presented herself as a subject into the sleep laboratory, where the electrical activity of her brain during sleep was measured with electroencephalogram (EEG). The recorded data, which were presented in the form of waves, overwhelmed the artist and writer with poetry. "Assembling the Morrow" is one of the resultant poems written. In this work, Huber allows a poetic access to scientific data and the fact that sleep is a very active state and not a death-like condition. Sylvia Hostettler's art, such as her sculptures of biomorphic forms, is strongly influenced by nature. At the Center for Integrative Genomics (CIG) at the University of Lausanne, she dealt with the influence of light on plant growth and tried to visualize the invisible. 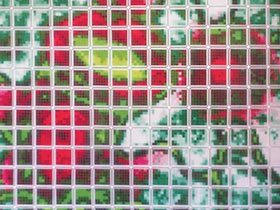 Based on the gene investigator, who visualizes a genome using color, Sylvia Hostettler manipulated microscopic images of plant structures to created glass windows for an installation at the lab. In this video, artists-in-lab Hina Strüver & Mätti Wüthrich and scientists from the Institute for Integrative Biology (IBZ) of ETH Zurich provide insights into the processes and results of their collaboration in 2007. (13 min). With their work called "Regrowing Eden", both artists developed an artistic illustration of the current scientific and social discourse on genetic engineering and discussed the consequences of the creation of genetically modified organisms. In his art, artist-in-lab N.S. Harsha refers both to the traditions of figurative painting in India and to Western folk art. During his residency at the Center for Microscopy (ZMB) at the University Basel, he learned to work with the scanning electron microscope. 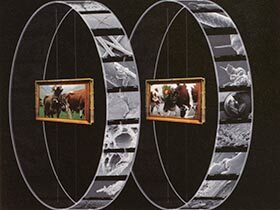 He processed his visual results from his microscopic examinations of samples from Swiss and Indian cow hair into a draft for the room installation "Room of Degression", There, he deals with the scientific, social and artistic significance of science images (10min). 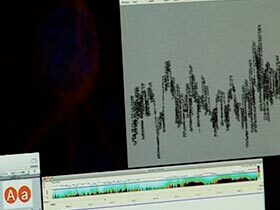 In this video (13 min), performance and installation artist-in-lab Isabel Rohner and the Center for Microscopy (ZMB) at the University of Basel give us insights into their processes and results of their collaboration in 2006. With the help of the scientists, Rohner investigated her own skin cells as a "self-portrait". She also designed a performance concept called “Fassadenperformance” on the facade of the building, which houses the Center for Microscopy in Basel. In this video (13 min), artist-in-lab Christina della Giustina and scientists from the Swiss Federal Research Institute for Forest, Snow and Landscape (WSL), Birmensdorf ZH give us information about their collaboration in 201. Using long-term research data, the scientists are investigating how soil, water, air and climate affect complex forest ecosystems. Christina della Giustina transferred these measurement data to create a sensual audio-visual interpretation about the live within trees. The compositions were shown as a sound installation and in live concert. During her residency at the Federal Research Institute for Forest, Snow and Landscape (WSL), Yvonne Weber studied raw data and models from the snow research. She used data collected from the measuring stations in Davos to calculate and construct geometric shapes of snow crystals. Then she transformed them into three-dimensional sculptures. The series called "Generic Snow" consists of several works and is a transformation of scientific data making them real, visible and tangible again. In this video documentation, artist-in-lab Claudia Tolusso and scientists from the Federal Research Institute for Forest, Snow and Landscape (WSL) in Birmensdorf ZH give us information about their collaboration in 2009 and provide insights into the processes and results of their work. 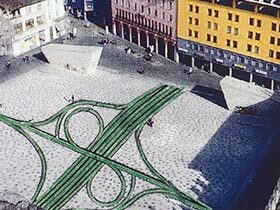 (12 min) Claudia Tolusso was interested in the use of landscape in Switzerland and how the Swiss population takes care of the landscape. During her residency 3 projects were created one of which is the performance “Seed explosion” which refers to the uncontrollability of seed dispersion. In this video documentation (14 min), artist-in-lab Ping Qiu and scientists from the Swiss Federal Institute for Water Supply, Wastewater Treatment and Water Protection (Eawag) in Dübendorf ZH provide information on their cooperation in 2008. During her residency Qiu focused on the scientific research topic "Life in the Water" and constructed six projects, one of which are the Water Circle Toilet Fountains. 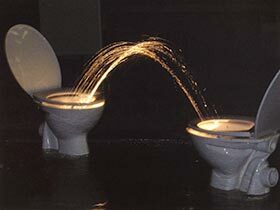 They are based on the concept of the Eawag famous no-mix toilet invention to recycle waste water. 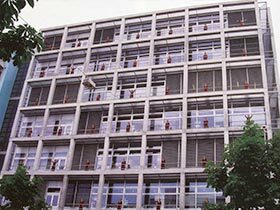 During his artist-in-labs stay at the Institute of Geobotany, ETH Zurich, the documentary filmmaker Thomas Isler dealt with questions of gene technology and pursued the scientific debate on the associated risk research. He accompanied a group of scientists with his camera to Vietnam to an international congress, where scientists from the first and third world met to discuss important topics on "genetically modified organisms". As one result, the film "Vietnam Transgen” was made. In this video, artist-in-Lab Shirley Soh talks about her art experiences from making sculptures and mixed media works about the themes of biodiversity, sustainability and ecological interdependencies. 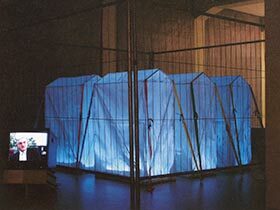 During her artist-in-lab residency at the Center for Biosafety and Sustainability (BATS) in Basel she developed and showed the installation "Food for Thought". 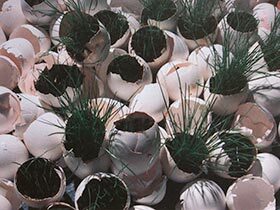 In this installation she includes own videos of cultured soil bacteria under a light microscope and soil farm animal sculptures admidst a sea of egg shells with texts. 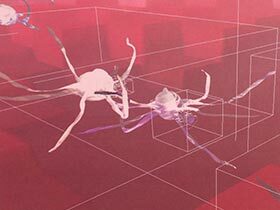 Marie-France Bojanwoski's proposal to develop a kind of cerebral scenography using unconscious and virtual spaces was well connected with research projects by the Native Systems Group (NSG) at ETH Zurich. During the residency at this lab, the artist created virtual panorama worlds from images of real urban spaces such as tunnels or places under motorway bridges in the periphery of Zurich. A head-mounted immersive apparatus, developed by the NSG, allowed walks through these virtual urban worlds (12 min). 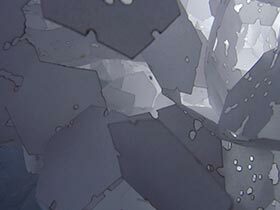 In this video (12 min), artist Oliver Wolf and scientists from the Artificial Intelligence Lab (AIL) at the University of Zurich provide insights into the processes and results of their collaboration. Oliver Wolf is interested in machine art, collective behavior and the creation of complex environments with a simple structure. 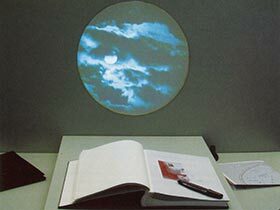 For his work "Teleonomies walking the Eigenplot", which was created at the Artificial Intelligence LAB (AI-LAB) at the University of Zurich, the artist looked at the construction principles of UFOs, studied the modes of movement of robots and finally built an air cushion table. In this video (10 min), Artist-in-Lab Chandrasekhar Ramakrishnan and scientists from the Native Systems Group (NSG) of the ETH Zurich give us information about their collaboration in 2008. During his residency, Ramakrishnan deepened his knowledge of computer systems and developed his so-called "Diglossia" technology for his project called "Chronophasis". "Chronophasis" is a multimedia installation that examines the musical, visual and interactive possibilities of personal devices. 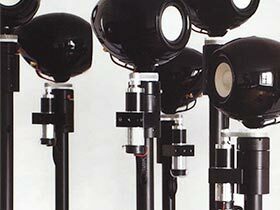 During his residency at Center Suisse d 'Electronique et de Microtechnique (CSEM), the artist-in-lab Pe Lang developed loudspeakers which can be controlled independently of each other by high-precision motors and displacement sensors, thus enabling precise calibrated positioning and rotation. 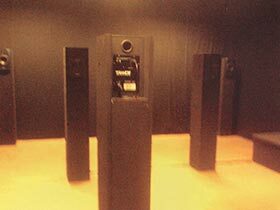 This extremely flexible loudspeaker system forms the center of Pe Lang's installation "Kinetic Speakers". It creates a dynamic sound space in which visitors can discover the acoustic properties of the surroundings in terms of their position. In this video (11 min), artist-in-lab Pablo Ventura and scientists from the Artificial Intelligence Lab (AIL) at the University of Zurich tell us about their collaboration in 2007. Pablo Ventura pursued the subject of the HCI and opposed the movement of robots to the fragility of the human dance movement. In his project "choreographic machine" he planned to develop of a humanoid robot in conjunction with a fully automated computer-aided choreographic software. 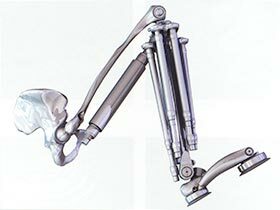 During the residency, the scientists and the artist then worked on the design of a robot leg while discussing locomotion and articulation of movements. In this video (10 min), artist-in-lab Tiffany Holmes and scientists from the Computational Laboratory (COLAB) at ETH Zurich tell us about their collaboration in 2006 and provide insights into the processes and results of working towards "eco-visualization”. During her residency Holmes developed visualizations to illustrate water qualities of different sources. She also spent additional weeks at the Aquatic Research Center EAWAG in Dübendorf where she experimented with novel display forms to visualize measured data in real time to allow the public to understand the importance of clean water in lakes and rivers. During their artist-in-lab residency at the Artificial Intelligence Lab at the University of Zurich, the artists Margarete Jahrmann and Max Moswitzer worked together with AI Lab programmers on a simulation software to develop the computer game "GoApe". The video (10 min) shows the artists and scientists discussing methods of research on artificial intelligence, which use "simulations" to investigate "intelligent" actions or behavioral strategies. 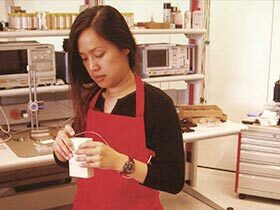 In this video (12 min), artist-in-lab and mixed media artist Margaret Tan and scientists from the Swiss Center for Electronics and Microtechnology (CSEM) in Neuchâtel tell us about their collaboration in 2006. During her stay at the Swiss Center for Electronics and Microtechnology CSEM in Alpnach, she developed an intelligent apron for home workers with many helpful functions. The apron was used in a performance that drew attention to the exploits of foreign domestic workers in Asia and Europe. 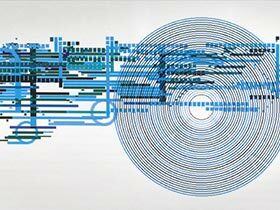 In this video (12 min), artist-in-lab Axel Vogelsang and scientists of the institute for information systems (GLOBIS), ETH Zurich give us insights into the processes and results of their collaboration. During his artist-in-lab residency Vogelsang designed an eye-oriented reality platform, together with local scientists and programmers, to tell the story "Lost Cosmonaut" about a lost, fictional Soviet Astronaut. He experimented with interactive storytelling as well as new interface potentials, especially with a digital pen that can write as well as read. 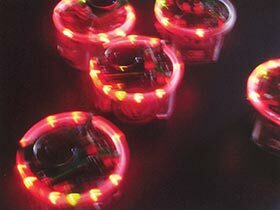 During her artist-in-lab residency at the Artificial Intelligence Lab at the University of Zurich, Adrianne Worzel explored ways to develop a theater for performers and robots. 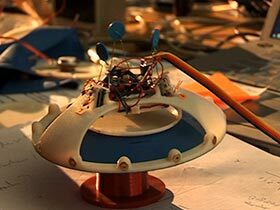 In the end, together with the scientist Daniel Bisig, a short film was made which, as read texts from Charles Darwin's book "The Voyage of the Beatle", was used to present the individual robots developed in the laboratory. In this video (13 min), artist-in-lab Christian Gonzenbach and scientists from the Séction de Physique, Université de Genève / CERN give us insights into their collaboration in 2009. 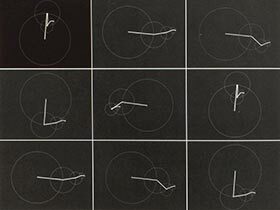 During his residency Gonzenbach was interested thematising the unpredictable and invisible around us. He developed many experiments and created an exhibition room in the Foyer of the lab which he called "Quantum Art Cloud". There, neon tubes resemble a Newtonian movement, which leads to a quantum situation. Roman Keller has been dealing with fossil and alternative energy production for many years. 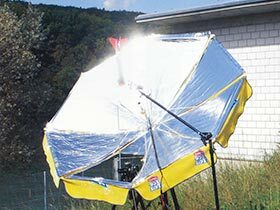 During his aritist-in-lab residency at the Paul Scherrer Institute (PSI), Roman Keller dealt particularly with the possibilities of solar energy building "The Rocket for the Rest of Us" - the first solar-driven rocket in the world. The idea of building a solar rocket is an attempt to remind us of the pioneering scientist and the emotional impact of discoveries. At the same time, it is an avant-garde development that emphasizes the importance of exploring alternative energy-harvesting methods. 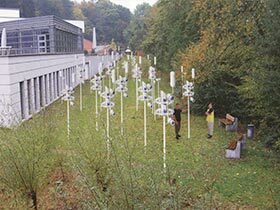 During his artist-in-lab residency at the Paul Scherrer Institute in Villigen, Nigel Helyer developed the Sound Sculpture I.D.E.A.S (Interactive Digital Environmental Audio Systems). I.D.E.A.S are sound objects - powered by solar energy, which carry environmental sounds from the scientific laboratory into the public. Helyer composed the sound tracks from sounds and conversations, which he had recorded and processed during his stay. The sculptures use detector surfaces developed by the Paul Scherrer Institute, which measure the number of muons that are cosmic radiation on the earth, thus triggering and varying the sounds. During his artist-in-lab residency at the Paul Scherrer Institute in Villigen, Bastianello created the space installation "Il mondo secondo", which illustrates the principle of relativity. 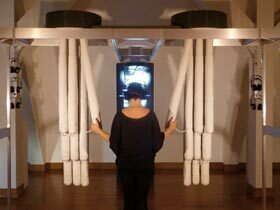 In this interactive installation, the visitor can vary the speed of rotating plates and rings on which a camera or object is mounted. The projection of the camera image shows different states of movement according to the differential speed between the rotating rings (10min). During their artist-in-lab residency at the Planetarium of the Lucerne Transport Center, the film editors and animator Clea T. Waite and animator and sound artist Andrew Quinn learned about the manufacturing processes, projection technologies and production steps for hemispheric projected films. Clea T. Waite used the access to the archive to work on myths and phenomena of the moon. She created the short film "Moon Walk". 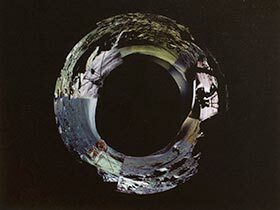 Andrew Quinn worked during his stay on a 3D animation film and a related 3D soundscape entitled "Moon Light" which explores the moon’s influence on the tides (11min). 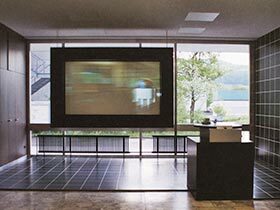 The Australian-Swiss media artist JILL SCOTT was an artist-in-residence in the Dermatology Unit at the University Hospital Zürich and the Landscape, Forest and Snow Research Centre (WSL) in Zurich. DERMALAND is the resultant media sculpture that explores our perception of our physical environment. Here, dermatological research and environmental science are combined in order to stimulate public discussion about the growing and damaging impact of UV rays on our skin and our soil due to global warming. The Australian-Swiss media artist JILL SCOTT was an artist-in-residence in the Institute of Molecular Life Sciences at the University of Zurich. 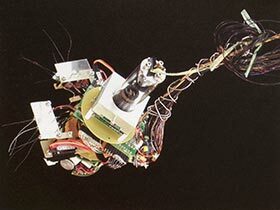 SOMABOOK is the resultant media sculpture that explores the development of the nervous system. SOMABOOK attempts to combine audiovisual metaphors and interpretations of a dancer with scientific data about neural circuit formation. 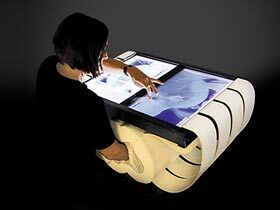 The Australian-Swiss media artist JILL SCOTT was an artist-in-residence in the Artificial Intelligence Lab at the University of Zürich. ESKIN is the resultant media sculpture that explores the potential of interactive tactile interfaces and sound for the visually impaired. In AURALROOTS, artist Jill Scott, combines inspiration from tactile and aural sensory perception. It consists of two hanging interactive sculptures, based on the functions and forms of the stereocilia, tiny hairs on the auditory cells of the inner ear in the cochlea. The viewers can use these to mix 54 sound tracks based on volume and harmonics. These tracks can be changed into low, medium and high pitch compositions by triggering animations and graphics on a touch screen. The low pitch composition features interior recordings from inside the womb with filtered sounds from the environment outside. In the mid pitch range, aboriginal women’s stories about wild plants can be mixed with landscape sounds and in the high range, human scientific environments can be blended with experimental tests on human hearing. 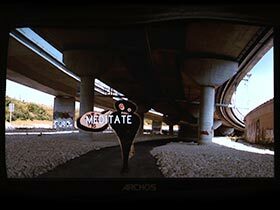 a combination of interactive art, ecology and neuroscience. 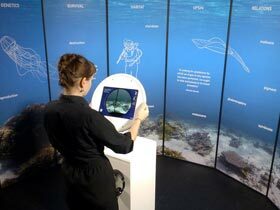 It is an augmented reality experience that gives viewers an insight into the evolution of our human eyes and our relationship to the eyes of the Australian box jellyfish and the squid (calamari). JELLYEYES provides immersive interactions with co-evolution, structural evolution and comparative evolution. The iPhone camera or the iPad Camera sees a photograph of the Barrier Reef in real time and the viewer can explore words, images, films and sounds to reflect upon the evolution of vision and how it is related to symbiosis, movement, survival and the environment. But two other characters also swim in the same sea: the unaware tourist (or hunter) and the evolutionary biologist (or collector). We are much closer to sea animals than we imagine but what kind of affect is our behavior having on them?